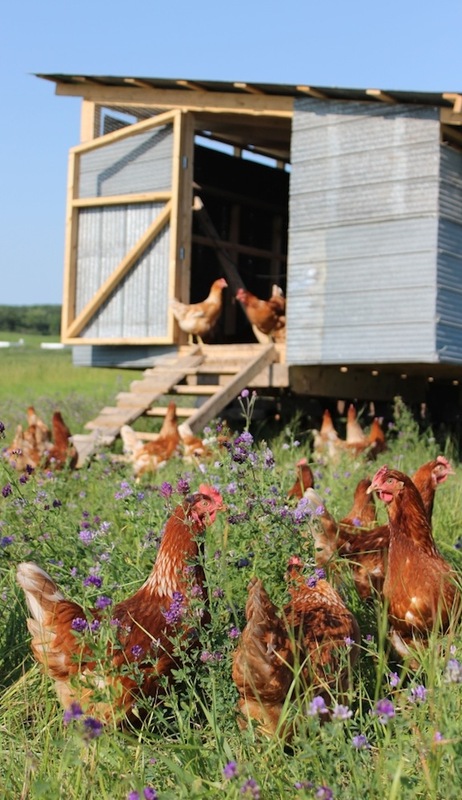 Luna Field Farm’s farm fresh eggs come from our small flock of pastured laying hens. The hens are our little cleaning crew, following behind the sheep and cattle on pasture. They are let out each morning and go back to their “eggmobile”, a portable structure that is moved every few days, to roost and lay their eggs.